Ver Kuilen Builders constructs top quality and affordable homes in the Fox Valley, Northern Wisconsin and Upper Michigan. 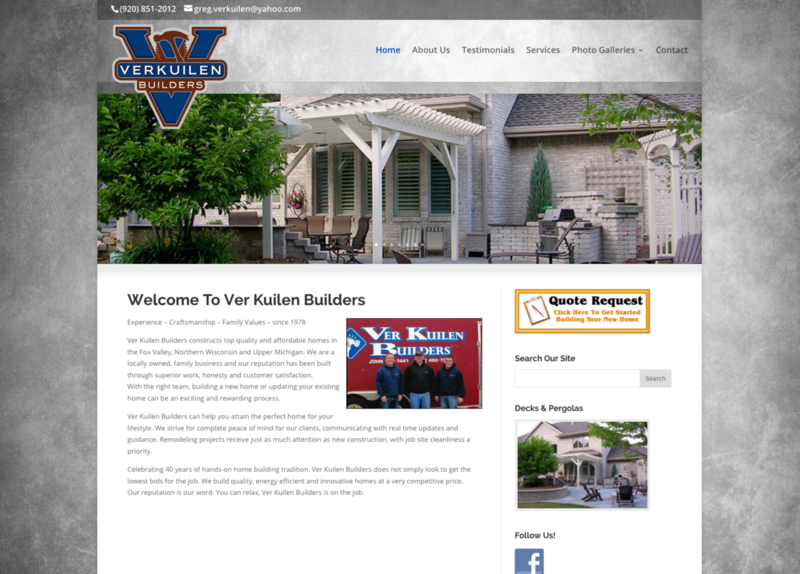 Ver Kuilen Builders is a family owned and operated business located in the Fox Valley. We have been in business for 35+ years. Ver Kuilen Builders are “Hands on Builders” and will be working with you through the entire project to ensure happiness and utmost quality. Ver Kuilen Builders are not just a General Contractor looking to get the lowest bids to get the job done. We stand behind our work and take pride in it. Jobsite cleanliness and high quality workmanship is our top priority. Our name is everything because we are going to be in the Construction Trade for many more years. Our services include General Contracting, New Home Construction, Additions, Sheds, Detached Garages, Window & Door Replacements, Decks, and Pergolas.